A week ago, I was counting the minutes to say goodbye to this year. It was a painful, challenging & tough year. Ive suffered too much pain & loss! So, in light with the New Year approaching, a momentum reset time was upon us….and then, as if it hadn’t been enough, the news of Matt passing, hit me like a lightening bolt. The pain & the tears weren’t over yet. I began 2015 burying my Dad then Carmen & guess what? 2015 it’s ending with the burial of Mattheiu! Despite all the pain, and the loss I praise God! 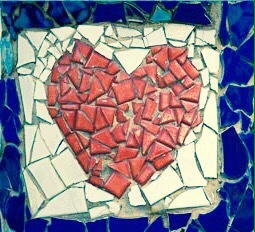 My heart is broken in irreparable tiny pieces, yet it is still pumping blood, still beating, still loving! Holding onto Hope & Love as my direct life lines to the heart of God! I’m in a very tight emotional spot. The last 4 years I’ve battled Cancer & all the irreparable alterations and brokenness it has cost, not only to my body, but also my soul; it has made me a physically whole organ that is simultaneously broken. I’ve dealt with too much loss of dear family & friends. I’m in a daze and I’m in pain. I’m over it! I’m over it All!!! I’m physically, emotionally & spiritually exhausted!!! I’ve lost & cried. Im mourning- I’ve been in mourning all year long! I am weak & sad. But I’m still here & I’m still alive! There will never be another 2015 and even though I’m really ready to move on, I want to say thank you!!! I’m grateful for the blessings & the love and the revealing of whom I am; for seeing beyond my own grief. Thank you for the firsts and the lasts. Thanks for showing me who truly loves me & who truly is my friend. Thankful for the people in my life who truly made a difference. Those who cared about me even when the months passed. Those who understood my state of mind remembering not only my health but my heart. Those who remembered that my dad had died…of cancer nonetheless– which I’m myself still battling. Those who comforted me & prayed for me. Those who don’t resent nor blame me for being distant or quiet. Thankful for realizing my reality & accepting it. I’m better for it. I am grateful for LOVE for it is the greatest gift of & from God. So, I am not remotely ready for what’s next, nor do I have that feeling of cheery expectations I tend to have at this time of year, while thinking what’s 2016 will be like & bring. I haven’t wrecked my brain thinking about it…..I’ve intentionally been avoiding it. I had lots of blessings and nothing that happened can take them away! Perhaps the sad overwhelms the good, but NEVER will they take it away!!! I’m grateful & It is well with my Soul!!!! God is Good! The perfect will of God may fulfill my life, my path & my heart!!!! God IS, WAS & WILL ALWAYS be in Control!!!! Take care my darlings! May God bless you all!!! May the New Year bring you Joy, Love & Peace!!! This entry was tagged Farewell2015, Grief, hope, Loss, Love, NewYear, Wishes. Bookmark the permalink. I’m hope that your 2016 turns out to be a better year for you! Thanks! I hope & pray it does!